Evan & Susan discuss Blender and Synfig Studio, and the uses of Open Source animation programs. 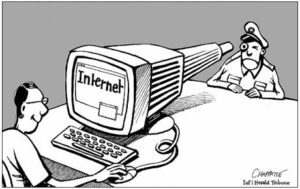 If you’ve been keeping up with recent tech news, you might have heard of an exploit called “Dirty COW.” In this article, I will talk about what Dirty COW is, how to fix it, and what to take away from it. I should start by talking about what Dirty COW was. 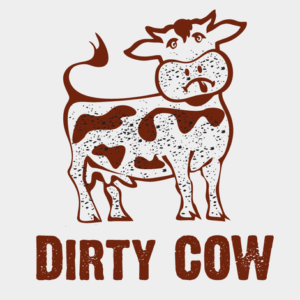 Dirty COW refers to a bug in the Linux Kernel introduced in version 2.6.22, but only recently became exploitable. The bug is a race condition in the Kernel’s subsystem that handles Copy-On-Write of read-only memory mappings, hence the COW in “Dirty COW.” A race condition is a term usually used in computing, which refers to a situation which results from two or more instructions that are supposed to be given in a sequence being given at the same time, causing an undesirable outcome due to the nature of how the commands are handled. This specific race condition can allow a malicious user on a network to elevate their permissions on or do other damage to a computer on said network by tricking the COW system into modifying OS files that would otherwise be read only, and thus normally not modifiable. There is, however, a fix for this bug, and there have been no reported occurrences of this bug being used in an attack. If your kernel is up to date, Dirty COW is likely patched. However, if you’re not sure, type “uname -rv” in the terminal to check your kernel data. 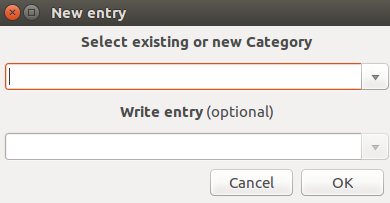 Depending on the distro you’re using, you should go to Canonical, Debian, or RedHat for information on which kernel versions are patched for each of their distros. Note that if the only computer you have that is running the Linux Kernel is a school computer, the kernel is likely up to date and patched against Dirty COW. If you have your own computer running a GNU/Linux distro and your kernel is vulnerable, run “sudo apt-get update && sudo apt-get dist-upgrade” on Debian and Ubuntu distros, or run “sudo dnf upgrade” on RedHat based distros. Finally, run “sudo reboot” to reboot your OS. This command works on every distro. We can learn a few lessons from this bug and there are bright sides to it. The important lesson here for everyday users is to make sure they’re keeping everything up to date. And while a crisis was averted, this should serve as a grim reminder to the security community about what can happen if bugs aren’t quickly found and patched. The good news is that open source software is a community by nature, and all who are interested can contribute. Even if you don’t have the technical skills, you can contribute to the software you like with donations, which in turn make the community stronger. This bug also gives affected service providers a reason to update their software, since large networks can’t update haphazardly, and often have to update the software on all of their machines at the same time to minimize downtime and avoid errors. Put simply; this cloud has a silver lining. The student laptops have Libre Office and when saving work using Libre Office the default file extension is (.odt). If a teacher is requesting a specific file extension format for an assignment to be uploaded or sent to them such as: doc, pdf, xls, or ppt, here is a short video on how to save to a different file extension. RedNotebook is a planner/agenda that is pre-installed on our 1:1 laptops, internet is not needed to start this application. You can use this application to remember what you have planned for future events. You can begin RedNotebook by clicking on the dash in the top left corner. The dash is the circle swirly icon in the top left corner. This site shows a calendar in which you can make reminders and notes as well as keeping track of your life events. For example, mine shows my homework and my grocery list. 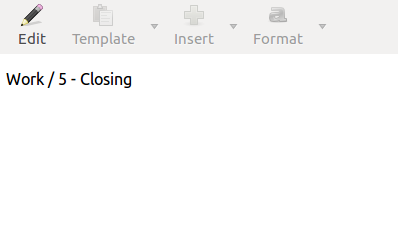 Edit: This will allow you to change the writing in the big white box. Whether you want to put notes to study for that class day or in my case remind me that I work from 5 – closing… It allows you to insert any text you want. When you click ‘Edit’ the other 3 icons to the right of it will appear. Template: This allows you to change your ‘RedNotebook’ and customize it how you want. Insert: You can insert pictures, files, links, etc to your notes section. Format: Allows you to change your text based on how you want, you can underline it, italicize it, make it bolded, etc. 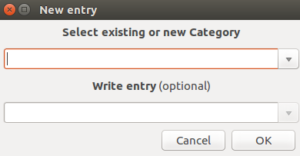 This allows you to create a tag and it categorizes what you might do on a regular basis. My tags consist of ‘School’, ‘Grocery List’ & ‘Work’. It appears to the right-hand corner in that big space. 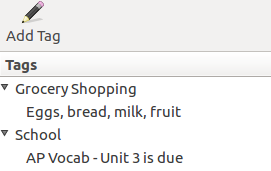 My tags consist of ‘School’, ‘Grocery List’ & ‘Work’. It appears to the right-hand corner in that big space. It’s meant for smaller tasks or reminders. Attention Seniors! Transfer Google Drive files to a personal account! You may want to keep files after you leave Penn Manor. You can use a flash drive for files on your computer, but Google Drive is different. Be sure to transfer your files before they get removed from your Penn Manor Google Drive with the steps below. 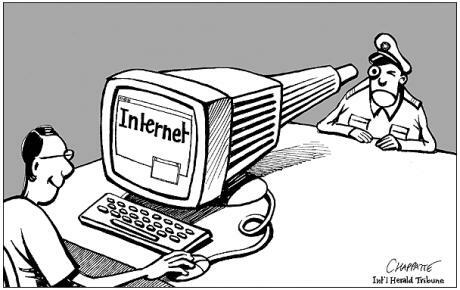 Right click on the copy, move to My Drive. This will move the copy from PM to your Personal Drive. Have a Happy Life after High School! If you have any questions, please contact us by sending in a ticket to the Student Help Desk or visiting room 200!